A brand new production of JERRY SPRINGER - THE OPERA is coming to Manchester in August 2019 – almost 15 years since the show was last performed in the UK. The controversial musical will entertain audiences over a four-week run at Hope Mill Theatre in Ancoats, from Thursday 8 to Saturday 31 August.Tickets go on sale on Monday 21 January at 10am. JERRY SPRINGER - THE OPERA caused a storm when it came to the UK stage in 2002, and in this new revival it promises the same raucous energy with a revamped and fresh production for 2019! Not for the faint-hearted or easily offended, expect chaos and debauchery to ensue in this smash hit musical based on the infamous talk show – The Jerry Springer Show. From tap-dancing KKK members, to a provocative dancing stripper, to the ultimate battle of good vs evil between God and the Devil, nothing is off limits in this must-see production. JERRY SPRINGER - THE OPERA is now being brought back to the stage as the first show from new production company, Northern Ricochet formed by James Baker (Parade, Yank),Tom Chester (Parade, Mamma Mia) and Bill Elms (Epstein The Man Who Made The Beatles, Twopence To Cross The Mersey). 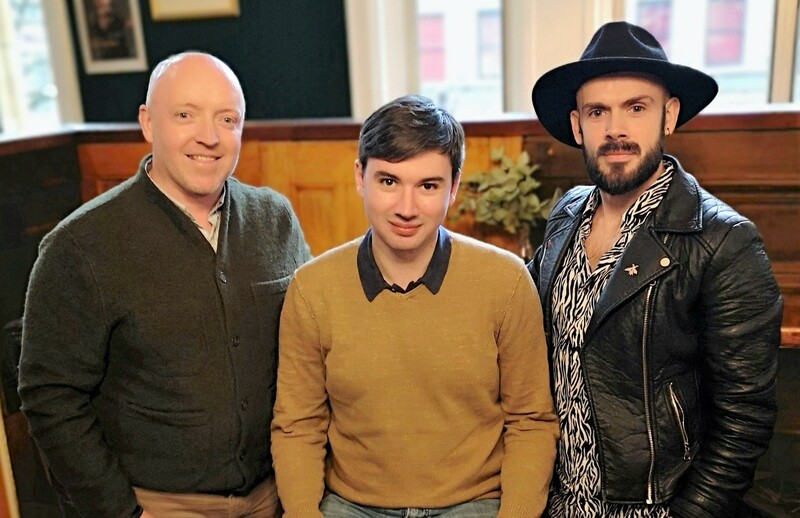 Northern Ricochet was recently formed by the trio having originally met in 2016, when working together on the hit musical Parade at Hope Mill Theatre. Having struck a bond, they created a company to celebrate and aspire to passionately produce quality theatre in the north, for the north and using northern creatives, actors and voices. The musical was previewed at the Edinburgh Festival in 2002, before going on to open at London’s National Theatre in April 2003, where it ran for six months. After moving to the Cambridge Theatre in the West End, it played to audiences for 18 months before going on a UK Tour in 2006. It was during this tour that the musical was last performed in Manchester. Director James Baker commented: “When Jerry Springer - The Opera first hit stages in the UK, it created a mass protest. It was unapologetic, uncompromising, fresh and original – and fused a highbrow form with a lowbrow subject matter. This fusion was what first attracted me. After getting through the protestors, I sat down and watched the best two hours of entertaining yet profound theatre I’d seen in years. It started a revolution. JERRY SPRINGER - THE OPERA was written by Richard Thomas, who also wrote the music and lyrics, with the book and additional lyrics by Stewart Lee and Richard Thomas. It is based on The Jerry Springer Show, which was first broadcast on television in 1991 and was on the air for 27 years. It tells the story of America’s favourite talk show host who suffers the worst day in his career when faced with some of the most challenging guests he’s ever met on set. The lead role of Jerry Springer has previously been portrayed by actors David Soul of Starsky & Hutch fame and Michael Brandon, best known for his role in cop drama Dempsey & Makepeace. For more information and ticket information ~ visit the website below.